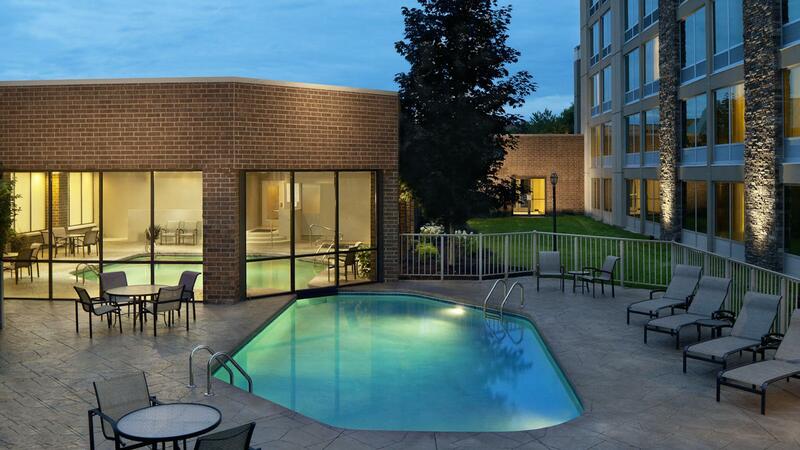 Rent Sheraton Ann Arbor | Corporate Events | Wedding Locations, Event Spaces and Party Venues. Select the perfect size room from over 15,000 square feet of elegant banquet and reception space at our Ann Arbor wedding venue. Our rooms feature high ceilings, extensive millwork, contemporary chandeliers and adjacent areas with large windows to the out of doors or courtyard. With 14 conference rooms to choose from, the Sheraton Ann Arbor Hotel is the ideal location to host your next Ann Arbor meeting or personal gathering. Guests will appreciate our central location off I-94 adjacent to the Briarwood shopping mall and local eateries. The University of Michigan and downtown are just minutes from our door. Your guests can take advantage of the Michigan Flyer which offers 12 daily non-stop trips to and from Detroit Metropolitan Airport for a fee and our complimentary around town transportation. Indoor Meeting Space: 15,000 sq. ft.
Business: Complimentary Internet access, the Link@Sheraton, Club Level Lounge, and Hertz Rental car on site. Recreation: 24 Hour Sheraton Fitness by Core Performance, One-On-One Athletic Club free of charge, Gallop Park, running trails, University of Michigan Stadium and much more. Nearby: Briarwood Shopping mall adjacent, downtown Ann Arbor, University of Michigan and Medical Center. Local companies; Thomson Reuters, ProQuest, Google, Siemens, Eaton, Arbor Networks and Merit Network.